Deadly school shootings have parents seeking new ways to protect their children. One US company partnered with Israelis to design the Switchblade. 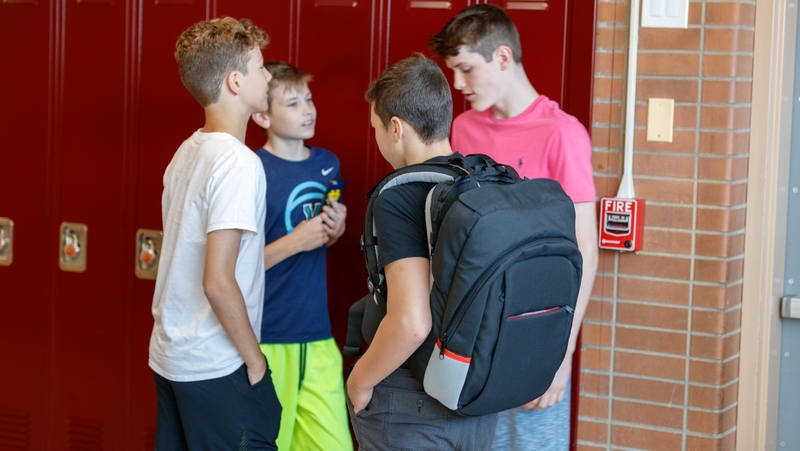 There’s a new back-to-school product on the US market: Bodyguard Switchblade, a made-in-Israel bulletproof backpack intended for teenage students and their teachers in the face of the troubling mass school shooting phenomenon. In the 2017-2018 school year alone, America suffered 34 such attacks. 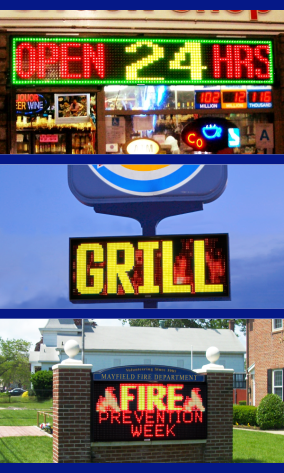 Shots were fired at two more schools this August. Damian Ross, owner of The Self Defense Company in Saddle River, New Jersey, tells ISRAEL21c he started sourcing ballistic protection about four years ago from various US and Chinese manufacturers before discovering Israel-Catalogue, an Israel-based online store for Israeli made products. “The Switchblade backpack is a product we developed with Israel-Catalogue, exclusive to us. It was in development for over a year and US patents are pending,” says Ross, who worked with CEO Shahar Geva. Ross explains that he wanted a product that could serve as a regular backpack with the added capability of stopping bullets in back and front. The Bodyguard Switchblade has two ripcords the wearer can pull to release a chest protection unit that flips from back to front in a second. 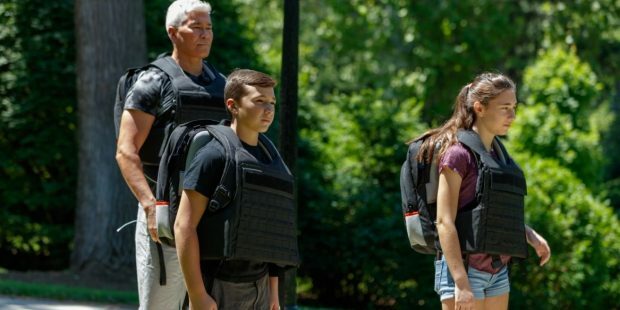 Ross found that bulletproof backpacks currently on the market had a 3A level of protection, which can stop handgun fire. This is the level of Switchblade’s basic five-pound (2.27 kg) model. To protect against rifle fire, the pack can be augmented with additional shield plates in front and back, each adding about three pounds of weight. “We know that if it’s too bulky you won’t use it, so it has to be sleek enough and work well enough,” says Ross. The $497 bag fits anyone from 5 feet to 6-foot-6 (155 cm to 244 cm) and is made of Twaron, a super-strong aramid ballistic fabric. Bodyguard Switchblade backpacks are legal to own and wear in all 50 states. “I hope no one ever has to use it [for protection] but this is the world we live in and it’s part of an overall solution. In the US, the overall number of incidents of violence is down but you do have mass shootings and that makes parents nervous,” Ross concludes.